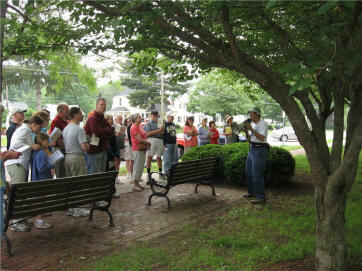 It is the mission of Glastonbury Partners in Planting, Inc. to establish planting areas in historically significant or highly visible sites within the Town of Glastonbury; to provide educational opportunities for members of the community to learn about the care of plants and promote an understanding of the value of biodiversity among flora; to re-establish the American Elm in the Town. 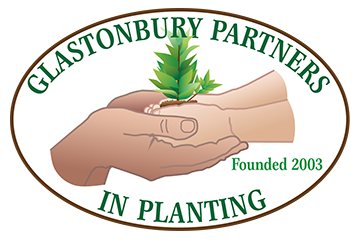 Glastonbury Partners in Planting, Inc. (GPIP) is a 501.3(c) non-profit organization. We are made up of Glastonbury residents working to make our town a more beautiful place to live. GPIP also wants to enhance the sense of community among the citizens of the Town by celebrating its past, beautifying the present, and planting for the future and to raise and provide funds and labor to accomplish these goals. Part of GPIP’s ongoing mission includes educational outreach. GPIP presents educational programming twice a year at its fall and spring member meetings, partners with the Glastonbury public schools to create classroom and field programs and holds periodic educational programs for residents of all ages.